On February 9th — vocalists from the Curtis Opera Theater are performing at Uptown! Knauer Performing Arts Center starting at 7pm. The Curtis on Tour program, established in 2008 is centered around students, faculty, and alumni. With a “learn by doing” philosophy, the program offers real-world professional touring opportunities. Since the program began, the crew performed at more than 300 concerts in over 90 cities, in Asia, Europe, and the Americas. The 2019 Vocal Quartet features compositions from the American Songbook. These talented performers, are the best of the best, ranking in the front of their fellow soloists, composers, and conductors. They hold chairs in every major American orchestra. 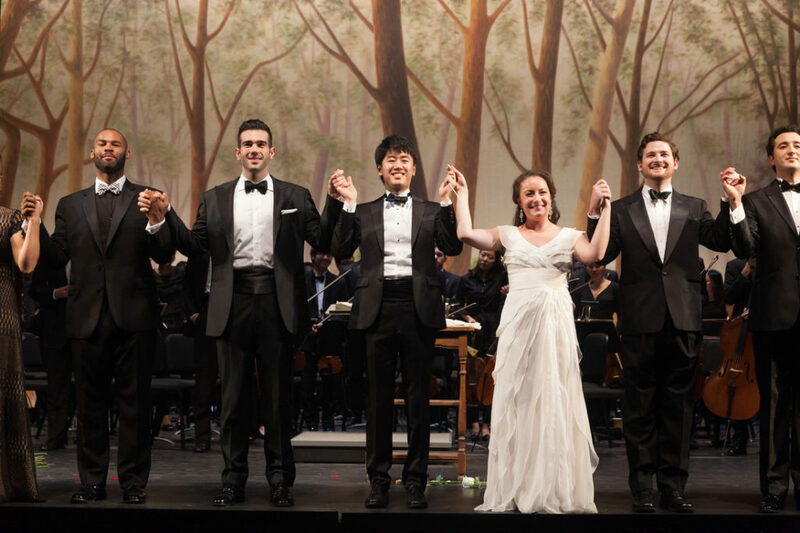 The Curtis on Tour, Vocal Quartet vocalists are — Sage DeAgronRuopp (soprano), Anastasiia Sidorova (mezzo-soprano), Dominic Armstrong (tenor), and Patrick Willhelm (baritone). They will be accompanied by Miloš Repický and Mikael Eliasen on piano. Every vocalist has received a merit-based full-tuition scholarship and has performed in lead roles on national and international stages. Their outstanding achievements have shown their knowledge and passion for the classical music genre. Many of these artists, could easily be future opera stars. How cool is it that we have the opportunity to see them here, in West Chester first? Tickets to the show are available online or at the box office.